1. Mom’s personality. If you knew my mom, you would know that she was usually kinda quiet, not very blunt or opinionated, and kinda kept to herself. For some reason, when she got sick, that all went away. Mom became blunt and was willing to speak her mind pretty much whenever. She had this dry sense of humor about her, and it was hilarious. She said/did so many funny things that she would’ve never done before she got sick. Praise Jesus for letting us see this side of Mom’s personality! 2. Extra time together. Obviously, Mom couldn’t work any more once the cancer really hit her. I was just working part time, so I had extra time to spend with Mom. We went to lunch, got ice cream, shopped, wedding planned, and so much more. Sometimes, we just hung out at home and watched TV. Either way, I am so so so thankful for this extra time I had with her. I will always cherish our talks and her Godly wisdom. 3. My graduation. In May 2011, I graduated from North Greenville University. Of course, Mom was there. It was also her last day of radiation, so it was a big day for all of us! We even celebrated with close family and friends at the house afterwards! 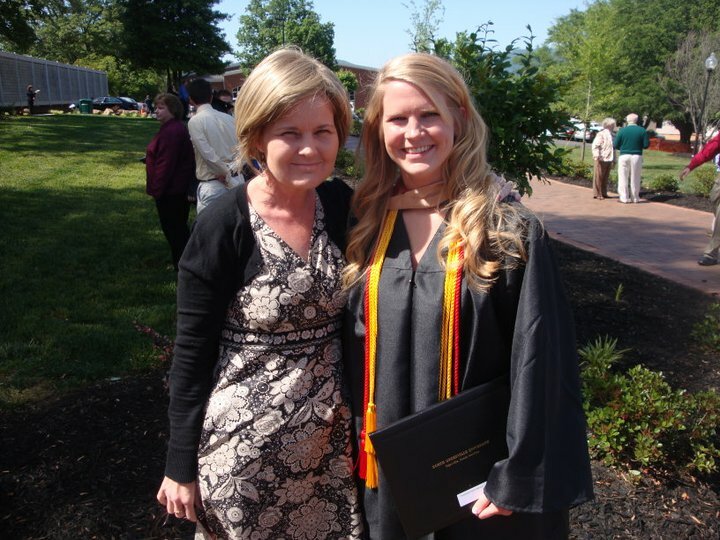 Mom & I at my NGU graduation. 4. Richie’s graduation. My little brother, Richie, graduated from high school in May 2012. At this point in Mom’s sickness, Mom’s energy level was very low and she wasn’t doing so well, so we prayed that Mom would be able to enjoy Richie’s graduation, and she did. We are blessed to live in a school district that has lots of Godly leaders, so they did things that made graduation a lot easier for us. We were humbled so much by their kindness. Graduation ended late, & Mom was still up for a dinner at Papa’s Breakfast Nook. It was 1am by the time we got home, & she was still wanting to enjoy the evening! Praise God! Mom after Richie’s graduation with Richie & 2 of his best friends. She loved these boys! 5. Bridal Showers. Mom was diagnosed right in the middle of my engagement, but praise God that Mom was able to do all of the typical wedding planning things with me, and that included bridal showers. My very first shower was at my home church, and Mom was in the hospital at the time. Even though the doctor didn’t really recommend it, Mom got out of the hospital and came to my shower any way. Mom wasn’t taking no for an answer (I get my stubbornness from her!). It was such an enjoyable day because she was there! 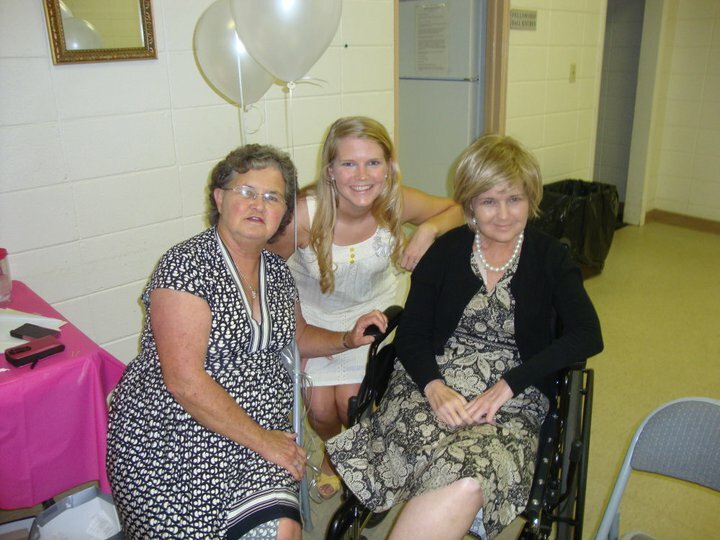 Mom, Grandma, and I at my very first bridal shower! 6. My wedding day. 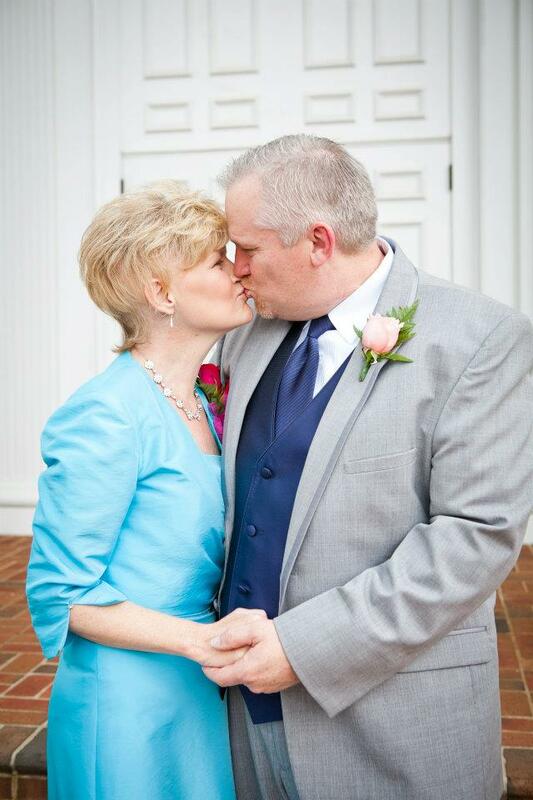 Another thing we continually prayed for is that Mom would have enough energy to enjoy my wedding day. Like most wedding days, it was a long day. We started early getting our hair done, and the reception ended later that evening. Mom lasted all day, and even walked up and down the aisle! I praise Jesus that Mom was able to celebrate that day with me! I love this picture from the wedding! Jack & I got married on Mom and Dad’s anniversary. They were such an example of what it meant to live out and keep your wedding vows! 7. The Beach. If you know my family, you know we LOVE the beach, especially Mom. Another prayer of ours is that we would be able to go to the beach together and enjoy a week of relaxing, hanging out with friends, and all of the things we traditionally do on vacation. The trip wasn’t without its ups and downs, but when I look back, I just think of the ups. Mom got to enjoy the ocean. We got to hang out with friends. We got to enjoy each other. It was truly a gift from God! 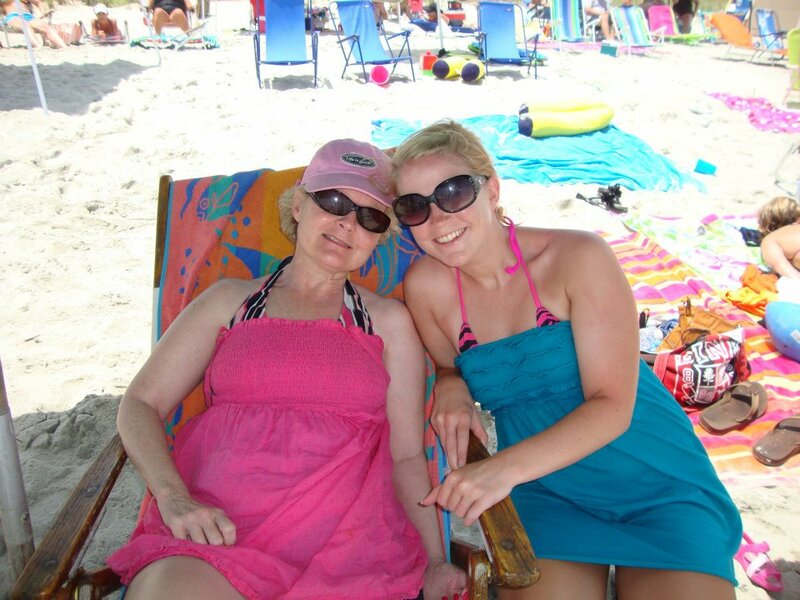 Mom taught me how to love the beach. Thanks, Mom! 8. National Cheer Competition. In 7th grade, I grasped a passion for cheerleading. I cheered all throughout junior high, high school, and college, and Mom was always my #1 fan. My very last cheer competition was right after her trip to Duke for her biopsy. Praise God that she was still able to make it to cheer me on. I wouldn’t have been the cheerleader that I was without her support! 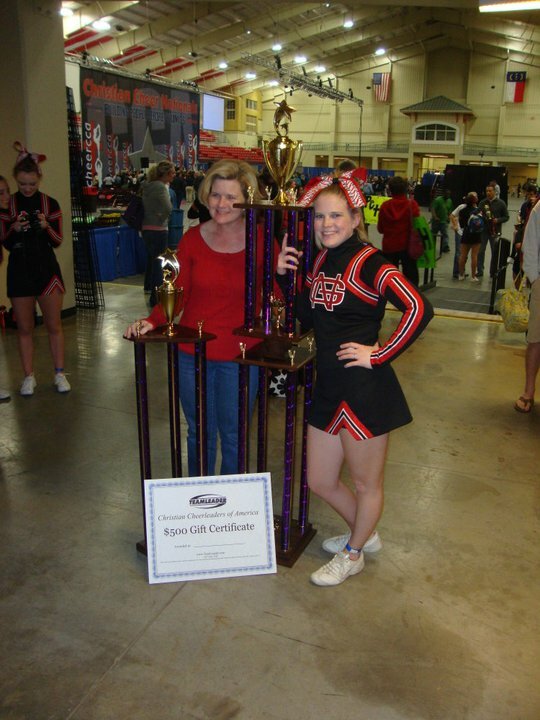 Mom & I with our national championship trophy! 9. The last days. Mom’s last days were tough. It was really hard to see her like she was. God didn’t leave us hanging though. He still blessed us immeasurably. Late at night, once everyone had left, she would wake up and be more awake than she had been all day. She said it was “just us” time. Another blessing was that Mom was always able to say, “I love you.” Those were some precious moments. 10. Now. We miss Mom like CRAZY. We still get sad and have our moments. However, God is still blessing us with abundant life. He has brought us through the storm, and we praise Him for that. He has blessed us with more birthdays, a ski trip, family dinners, and we’re looking forward to a beach trip this summer. 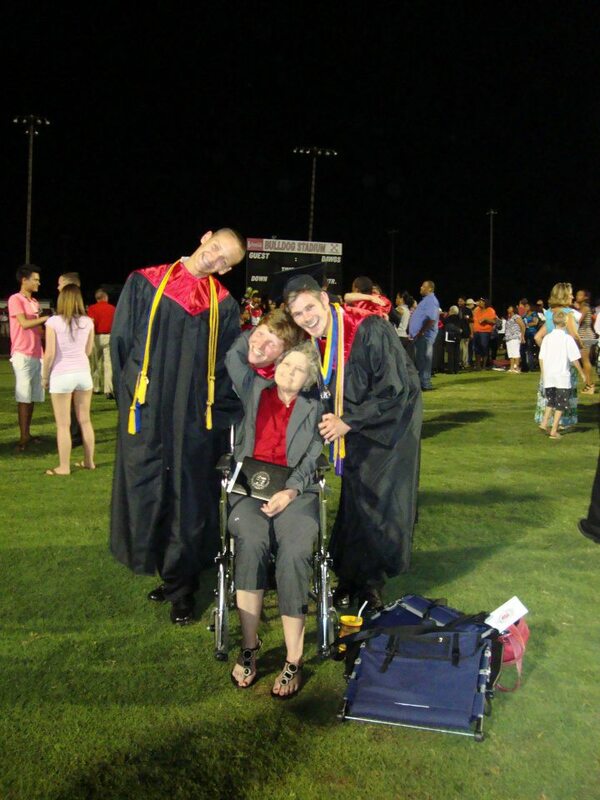 Life won’t be the same without Mom, but God has left the rest of us here to still live life with a purpose. While we fulfill His purpose, God is still blessing us with joy and abundant life. I am sure there are a million more joyful moments that God blessed us with during that time. I give God glory for all of these moments and how He has blessed us. Seriously, none of this would’ve happened without Him in our lives. God deserves and gets all of the glory. I praise Jesus for these joyful moments. What joyful moments has God blessed you with? I’d love to hear about them!